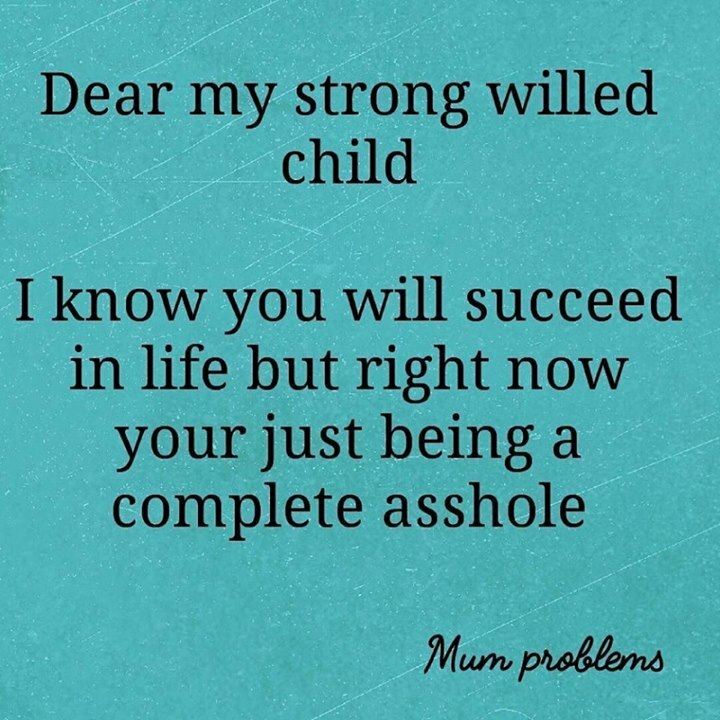 DEAR MT STRONG WILLED CHILD I KNOW YOU WILL SUCCEED IN LIFE - ProudMummy.com the Web's Community for Mums. Isabell Bowman Our smallest smalls today! Adam Lucock this is Ava to a tee. Steve Michaels remind you of anyone? Anya Dean 😂 my day summed up! Marília Lauria Not quite our words but close! Sophie West who do you think this is ? Chris Kenny you know which one! I have 2 of these... God help me! Danielle Smith 😂😂😂 its spot on! Phil Kiehne or a goat.